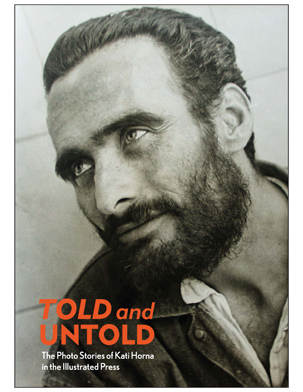 Told and Untold, published in association with the first U.S. solo exhibition dedicated to Kati Horna (b. 1912 Budapest – d. 2000 Mexico City), features photographs—some never before seen—displayed alongside the newspapers and magazines in which they circulated. Though she is now perhaps best known as a surrealist, Horna often defined herself as collaborator with the press, a definition that encompassed not only her activities as a field photographer during the Spanish Civil War, but also her work as a layout artist and photomonteur for anarchist publications. From her early years in interwar Paris through her late work produced in Mexico, this publication offers a comprehensive overview of Horna’s diverse practice, including her photographs, contact sheets, montaged cuttings, and personal albums. Learn more about the Told and Untold exhibition.